In WWII, the Germans had a reputation for their formidable technology. What they did not consider, however, was the formidable Irish reputation for bullishness. John Reginald Gorman was born on February 1, 1923, in Omagh, Ireland. 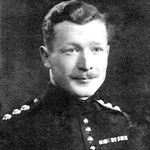 He joined the Irish Guards in 1942 and became a Lieutenant in the 2nd Armored Battalion of the Guards Armored Division. In 1944 the Normandy Landings had taken place, the Allies were now in northwestern France, and the Germans were resisting. June 18 was the start of the Battle of Caen. Caen is one of the biggest cities in Normandy and sits beside the Orne River and the Caen Canal – making it a vital hub. The Allies had to take it. Caen sits in open country dotted with small towns and villages. The plan, therefore, was to isolate the main German forces within the city, while the Allies took out the smaller pockets of resistance around it. The Canadians launched Operation Atlantic to capture Caen south of the Orne. The British launched Operation Goodwood. Together, they hoped to obliterate the Germans, at best, or pin them down where they were, at the very least. Further west, the Allies were stuck. They needed to break out of Normandy, but German resistance was proving to be tougher than they had expected. Gorman’s men were worried. They had their Sherman tanks, but there were rumors the Germans had something far better – the Tiger II, also known as the King Tiger. 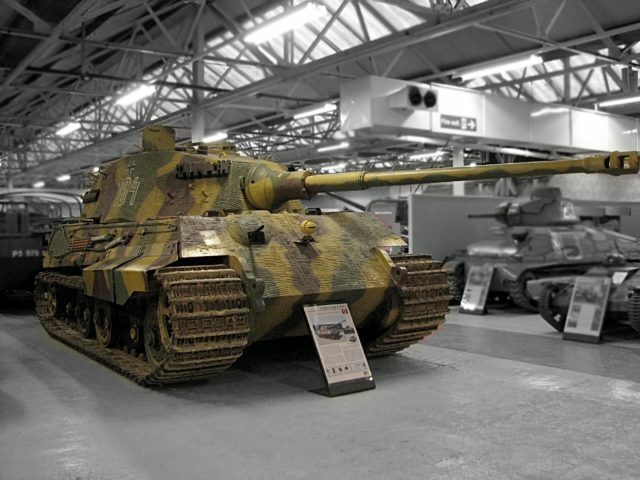 The Germans called it the Königstiger (Royal Tiger). It weighed almost 70 tons because of its thicker armor (about 3.9” to 7.3”) and was armed with an 88 mm 71 caliber gun. “What if we meet one?” asked Lance-Corporal James Baron of his troop commander. They were situated to the east of the village of Cagny. Ahead was a slope dipping into a shallow stream then rising toward the tree-filled Bourguébus Ridge. From there came German fire to let the British know they were not welcome. Gorman’s 2nd Battalion was amassed with others under the command of Lieutenant Anthony Dorman. Dorman gave the order to cross and went first, followed by the others who veered on either side to force the Germans into spreading their line of fire. Most were making their way up the other side, but not Gorman – his Sherman was stuck in the stream. 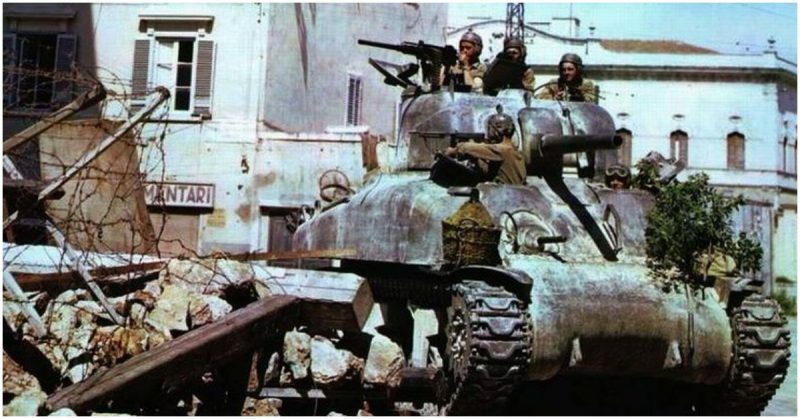 Two tanks in his battalion stayed to provide covering fire. However, they but could not reach those ahead to let them know – the radio chatter was too intense. Try as they might, they could not move the tank. Furious, Gorman abandoned his Sherman and jumped into another one named Ballyragget (“Mouth of Ragget’s Ford” – a town in Ireland). They crossed the stream to the other side, but everyone was gone. Past the tree line, he found Lieutenant Dorman firing at some German positions. 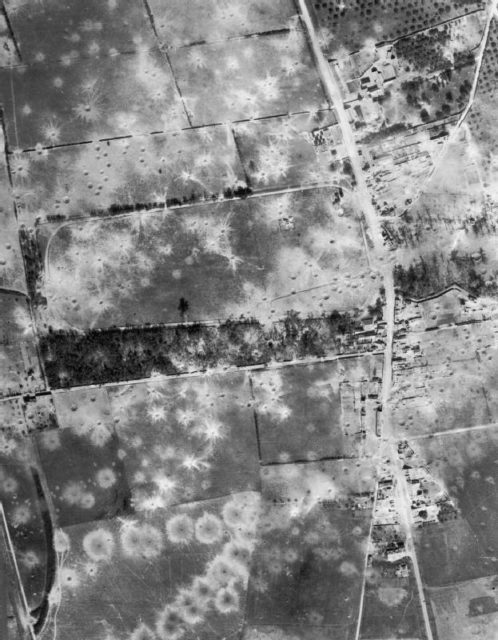 Further on, Gorman and another tank found the road that stretched from Cagny to Emieville. They had just crested the ridge when he saw them – four German tanks in the clearing beneath them, a mere 900 feet away. There was an old Mark IV, a Panther, an earlier version of the Tiger, and the rumored Tiger II, itself! The first one ever to be seen on the Western Front. The Irishmen groaned. Shermans are noisy machines, but he swore the Germans looked surprised to see them. The Tiger II began swiveling its gun straight at them. “Fire!” Gorman ordered. Nothing happened. The gun had jammed. They would have to ram it. To their surprise, the slope felt steeper than it looked. The 66,800-pound Ballyragget skidded as much as it rolled, gaining speed as it reached the clearing below. The blast surprised everyone. Gunner Schole had scored a direct hit on the King Tiger! It did no good, though. The Königstiger’s gunner was also having problems. His tank was facing away from the marauding Irish, so he was having a hard time positioning his gun. He was still trying when Ballyragget slid parallel to the Tiger II’s cannon and whacked hard against the German tank’s rear right track. Now the Königstiger’s gun muzzle jutted out some two feet over the top of the Sherman. 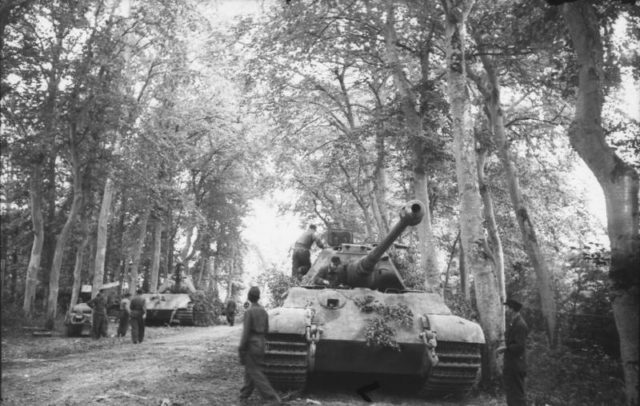 The other German tanks fired at the second Sherman, killing three, and wounding three others. Gorman and his men jumped out and ran into a wheat field. Apart from Guardsman Hugh Andrew Agnew. Disorientated, he saw four men run into a ditch, so he ran after them and jumped in. It was the crew of the Tiger II. Agnew gave them a polite salute (complete with a cheeky grin), jumped back out, and ran. 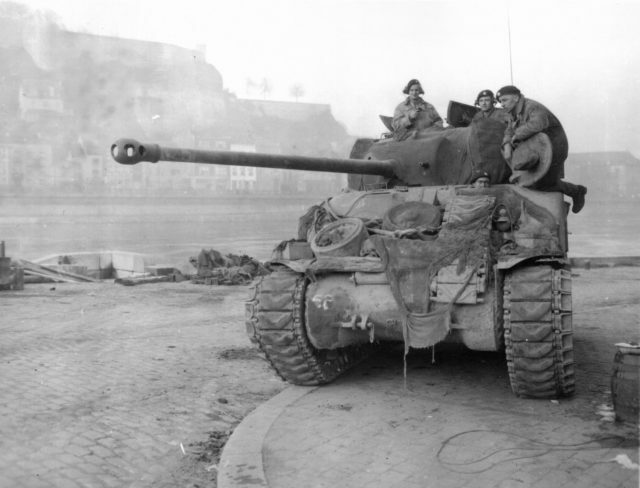 Gorman needed a weapon and found a Sherman Firefly back at Cagny. It had been under Sergeant Workmann, but, unfortunately, he was dead. The gunner and driver were alive, but they were in serious shock. Gorman commandeered the Firefly back up the ridge. To his surprise, the enemy were still there. The tank took out the Tiger II first – also hitting their old Sherman as it was still stuck to the former. The Germans fired back, so Gorman gathered his surviving crew and retreated. 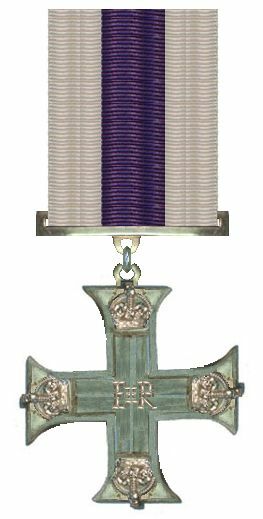 He received the Military Cross. He was also awarded the French Croix de Guerre, but that is another story. As for Operations Goodwood and Atlantic, they were a disaster – about 5,500 men were lost. That, too, is another story.